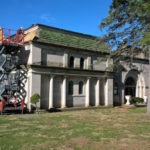 Abbey House – Melotte, Morse, Leonatti, Parker, LTD.
MMLP was selected by the City of Springfield, partially based upon experience with the Lincoln’s Tomb Historic restoration in Oak Ridge, to perform roof replacement and interior renovations for the structure, which features prominently and anchors the historic entrance to the Oak Ridge site. 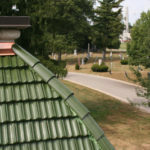 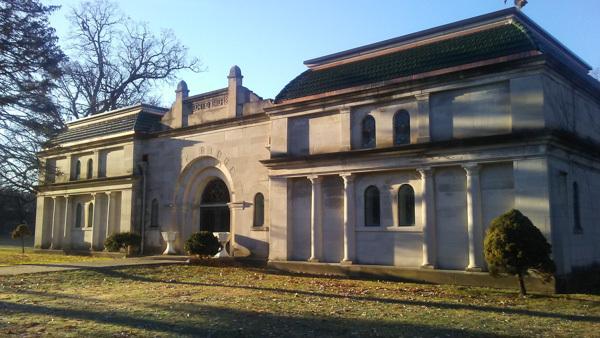 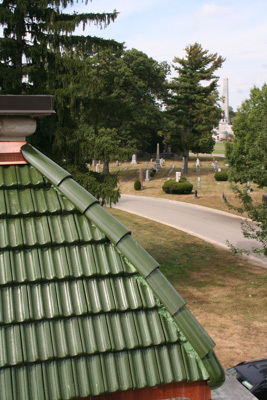 The project involved extensive research into the source fabrication of the emerald green glazed clay roof tiles- colorfully capping the four corner towers of the stone mausoleum. 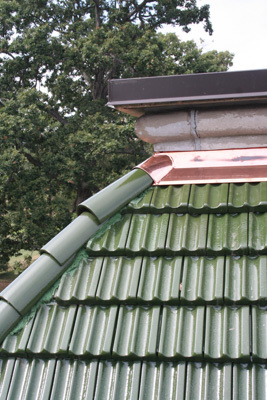 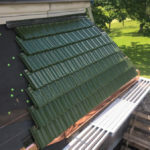 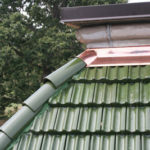 The heavily hail and weather damaged tile were discovered to have been crafted by Ludowici-Celadon, a company still in existence and brought in to diagnosis the exact dimensions and profiles to provide replacement tile; as well as helping to specify an improved, breathable underlayment system to help protect and solve persistent sloped roof water infiltration. 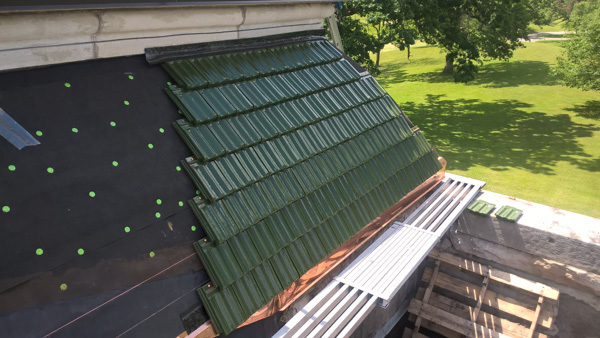 Extensive roof coring and working intensively with membrane roofing manufacturers, the existing asphaltic built-up roof was overlaid and replaced and extended flashings and membrane wall coverings were added to address crumbling interior parapet stone and concrete structural walls. 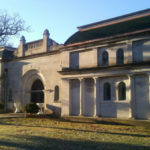 After roof leaks were prevented, the arched plaster ceilings of the interior vault corridors were patched due to extensive water damage and deferred maintenance. 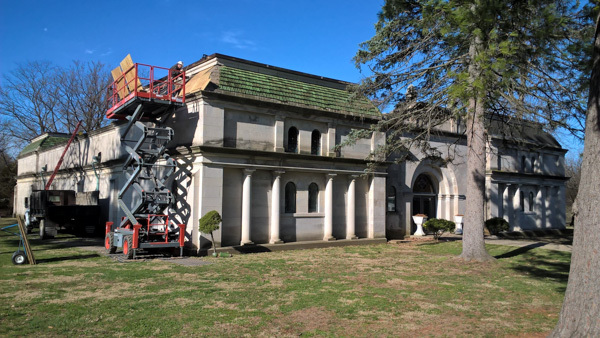 The ceilings were painted after plaster repairs to provide a brighter and historically consistent interior appearance.